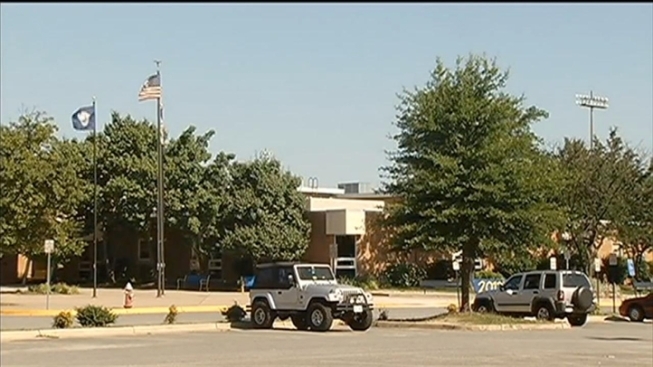 More than 400 people will be tested starting Friday for tuberculosis after being in contact with a person carrying the disease at Lee High School in Fairfax County, Va. The Fairfax County Health Department says two recent cases of TB have been confirmed at the high school this month. A third case, discovered in December 2012, was reopened due to the new cases after a smaller investigation when it was first detected, according to officials. On June 17, letters were mailed to students and faculty members, notifying them of the Health Department's investigation. A second letter was sent to 400 students and 30 staff members recommending they be tested for the disease after it was determined they were at risk for exposure. As of 1 p.m., Friday, 75 people had appointments. They will go back Monday for follow-ups. 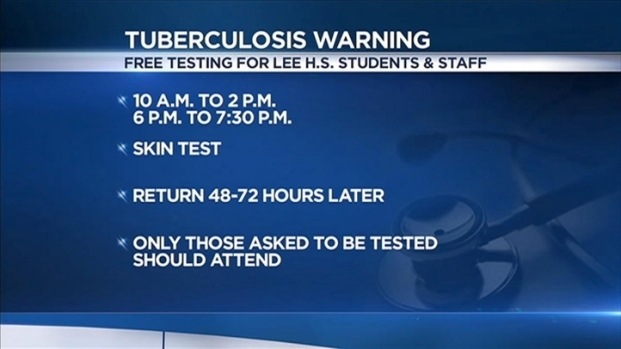 Robert E. Lee High School in Springfield, Va., is testing its students for tuberculosis after three students were diagnosed with the disease. Officials said 430 students potentially could have been exposed to the infection. News4's Megan McGrath reports. More appointments will continue next week through Friday. Fairfax County Health Director Gloria Addo-Ayensu said those requiring testing were identified as having 24 hours or more of contact with the three infected individuals. Addo-Ayensu said the specific strains of TB in those individuals have not been identified. Some parents who did not get letters from the health department showed took their children for tests anyway. Rich Schoske was told he should take his child to the health department clinic or the family doctor. "You can't just tell me unequivocally that my son wasn't potentially exposed," he said. "Give me the TB test if I'm asking for it. Don't push me down to my health-care provider and/or the health department." But Addo-Ayensu said they must place their priority on the 430 people with the highest likelihood of exposure. "We don't want to sort of invite everyone when we know that there are people who have legitimate exposure," she said. That means those who were in close physical proximity with the person who had active TB and spent longer periods of time with them in close quarters such as a small room compared to an open hallway. The investigation at Lee already revealed new information: One of the three was exposed to TB off campus. TB is spread through the air and can attack any part of the body, including lungs, the kidney, spine and brain, according to the Centers for Disease Control and Prevention. But it is not easily spread, according to health department officials. Skin tests and blood tests are usually used to determine whether a person is infected with TB. Tests will be given at the school starting Friday morning. "Even one fatality is a shame because TB is so treatable and the medications are so cheap," Addo-Ayensu said. TB symptoms include a bad cough lasting for more than three weeks, weight loss, fever, chills, weakness, coughing up blood and chest pain. If not treated correctly, the disease can be deadly. Fairfax County performs about 90 TB investigations each year.